Shri Hardeep S Puri, Minister of State (I/C) for Housing and Urban Affairs has stated that more than 664 kms of Metro Rail projects in 15 cities are presently under various stages of implementation, while more than 515 kms of Metro Line are already operational in India. Interacting with the Members of the Consultative Committee attached to the Ministry of Housing & Urban Affairs here today, the Minister informed them on various initiatives taken by his Ministry on Urban Transport in the country in the recent past besides apprising them about status of Sustainable Urban Transport Projects. Members of Parliament Shri Bhartruhari Mahtab, Shri DD Devegowda, Shri Gokraju Gangaraju, Shri Rajan Baburao Vichare, Shri Rattan Lal Kataria, Shri Santokh Singh Chaudhary and Dr. Shrikant Eknath Shinde, attended the meeting. Shri Durga Shankar Mishra, Secretary, MoHUA and senior officers of the Ministry and its entities also attended the meeting. Providing details of the Metro Rail projects presently under operation/implementation, Shri Puri informed that several new cities are now aspiring to have Metro Rail Systems. 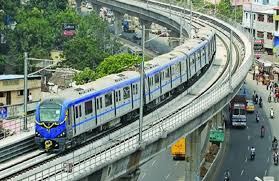 The State Governments/Union Territories have been advised to prepare the Detailed Project Report (DPR) in line with the provisions in the Metro Rail Policy 2017 and submit. He also said that Regional Rapid Transit System (RRTS) projects comprising 373 kms between Delhi-Meerut, Delhi-Panipat and Delhi-Alwar are under planning. 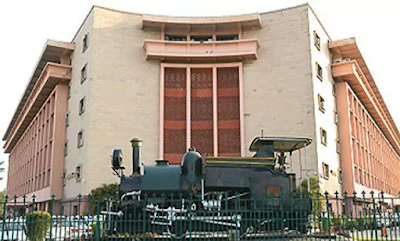 Informing the Members present, Secretary said that all new metro projects are approved subject to provision of last mile connectivity for the passengers. Provision of last mile connectivity for the Delhi Metro by a newly created entity is at an advanced stage and is likely to be completed soon, he said. The Minister said that the MoHUA has released funds to various Metro Rail Projects to the tune of Rs. 9,286.09 in 2015-16, Rs. 15,298.61 in 2016-17, Rs. 13,956.23 in 2017-18 and Rs. 7,481.28 in 2018-19 (upto September 30, 2018). Shri Puri said, in order to create an ecosystem for metro rail, the Ministry of Housing and Urban Affairs has notified the Metro Rail Policy, 2017. 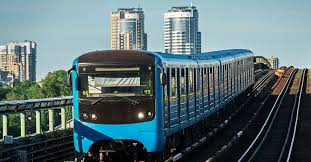 “The policy bridges the gap for ascertaining and enhancing the feasibility of metro rail projects from economic, social and environmental perspective. This aims to focus on systematic planning and implementation of metro rail systems and act as a guide to state governments for preparing comprehensive proposals for metro rail projects”, he emphasised. The policy also enables greater private participation and innovative financing through Transit Oriented Development (TOD) and Value Capture Finance (VCF), he added. He informed the Meeting that the Govt provides financial support for metro rail projects in the form of Grant to the States up to 10% of project cost or in the form 50:50 equity sharing with State Governments or viability gap funding to the extent of 20% of the capital cost of public transport projects under PPP model. Shri Puri said that the Ministry of Housing and Urban Affairs has also notified the National Transit Oriented Development (TOD) Policy in May 2017, with the objective of encouraging compact mixed use development which reduces the need for travel and improve the access to public transport. He pointed out that the policy aims to promote inclusive habitat by ensuring that the people dependent on public transport can live in the live able communities within the walk able distance of transit stations. City specific strategies and mechanism may be framed for implementation of TOD, he said. The Ministry has also formulated and issued standards for all components for Metro Rail Systems viz rolling stock, signalling systems, electrical and electro mechanical components and civil engineering structures to promote “Make in India” and reduction in cost. The 11th Urban Mobility India (UMI) Conference is planned from 2 to 4 November, 2018 at Nagpur, with the theme “Green Mobility” to disseminate up-to-date and best urban transport practices information to the cities and to bring together the technology and service providers, policy makers, practitioners, officials in urban transport from India and abroad, he added.